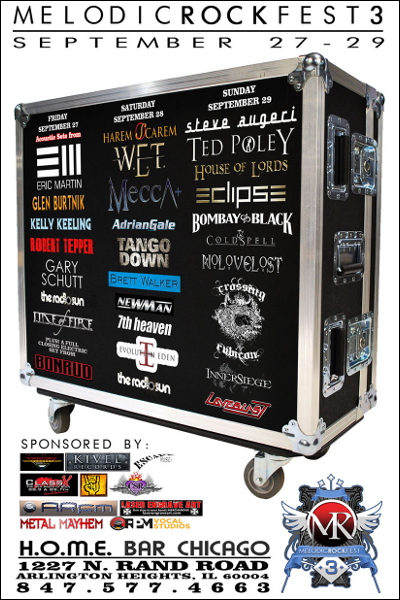 MELODIC ROCK FEST 3 will take place, featuring 26 bands at one of the newest and best music venues in Chicago (USA), H.O.M.E. Bar, over three days from September 27th through September 29th, 2013. Check out the line-up on MELODIC ROCK FEST WEBSITE or facebook.